So, you have a creative project (an unfinished film, music album, graphic novel, etc.) and you want funding so you can adequately – make that epically – realize your vision. Instead of relying solely on traditional grant programs (such as our Artist Fellowships or Local Cultural Council grants), which may or may not match up with your project’s timeline, you might consider using a crowdfunding site as part of your fundraising strategy. They make it easy for individuals to make tax-deductible donations. They ask artists to set a fundraising goal. They provide helpful and novel ways to interact with donors, including the ability to offer rewards. And a certain percentage of the donations go to the crowdfunding site to pay for the service. What sites are out there, and what differentiates them? The most prominent crowdfunding site is Kickstarter. Anyone from tech entrepreneurs to working artists can use the site to create campaigns for their project, with a funding goal. Kickstarter campaigners then offer creative rewards (say, an embroidered t-shirt or a DVD of the project or a personalized portrait) to donors, increasing the appeal of the reward based on the donation amount. Things to keep in mind about Kickstarter: if campaigns do not meet their fundraising goal, the artist gets nothing, so the incentive is high to drum up support. Also, project campaigns need to be approved by Kickstarter to launch. For an example, check out this campaign by Small Beer Press (out of Easthampton, MA) to publish a new version of what just might be the history’s first science fiction book. The background story is unique and appealing, and the project’s video is especially strong. Unlike Kickstarter, Hatchfund is specifically focused on artists. Some projects may receive matching funds from Hatchfund for a portion of their campaign. And perhaps most significantly, Hatchfund offers one-on-one coaching and support for artists by Hatchfund staff. 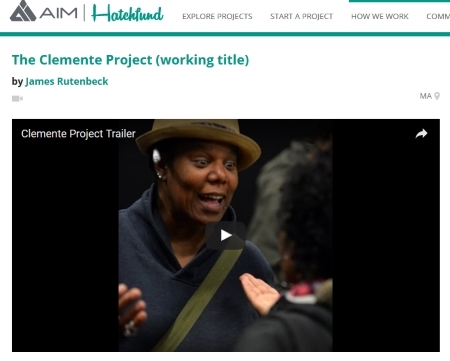 Check out The Clemente Project by James Rutenbeck (Film & Video Finalist ’11), which you can also read about here. The campaign does a great job conveying how a story about unheralded voices in one struggling community can have universal significance. Another crowdfunding site is IndieGoGo. The big difference is that, unlike the all-or-nothing approach of Kickstarter and Hatchfund, you can elect to keep all of the money you raise (minus site fees), even if you don’t meet your goal. Check out The Circle by Julie Mallozzi (Film & Video Finalist ’15, ’07), which very successfully conveys the potential impact of the project and its appeal to both targeted communities (like anti-violence activists) and a wider audience. Not a joiner? You could also take the principles of crowdfunding and set up your own campaign. You’ll need a PayPal or similar online payment account, a home base (like a web site homepage or a blog), and a group that will act as an organizational fiscal sponsor so that donations will be tax deductible. In film, the Center for Independent Documentary and Filmmakers Collaborative both serve as fiscal sponsors for film projects, and the New York organization Fractured Atlas serves as fiscal sponsor for artist projects in all disciplines, and throughout the country. You can even include creative rewards and frequent updates to your donors – you’ll just have to handle the infrastructure of these actions on your own. 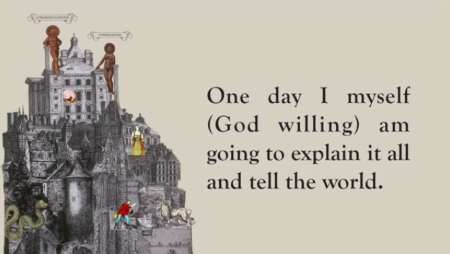 Tell a compelling story. The campaign, whether through its video, description, updates, or all of the above, successfully conveys why this project is essential and why its supporters’ contributions are meaningful. Tap into and cultivate an interested community. Incentivize support. Rewards are part of that incentive, but even better is when the story is the incentive: the project’s storytelling convinces an interested community that this is a can’t-miss opportunity to be part of something important. Image: still image from THE CIRCLE by Julie Mallozzi (Film & Video Finalist ’15, ’07) crowdfunding through IndieGoGo; still image from the Kickstarter video for THE CHEMICAL WEDDING BY CHRISTIAN ROSENCREUTZ by John Crowley, illustrated by Theo Fadel, to be published by Small Beer Press; screenshot of the crowdfunding campaign for THE CLEMENTE PROJECT by James Rutenbeck (Film & Video Finalist ’11); IndieGoGo video for THE CIRCLE.